It’s still only January, but I have been planning out the whole year already. I hope to take a few trips – including a trip to Buenos Aires postponed from last fall; London in March, and Chicago in July. I have a lot of other travel ideas, so we shall see. 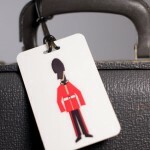 With London first up in March, I think I may have found the perfect luggage tag to help my bag stand out on the crowded arrival carousels at Heathrow: this British Guardsman Luggage Tag from R. Nichols. The British Guardsman Luggage Tag is just one of many cool luggage tag designs from R. Nichols featuring iconic image from world cities – all of which are very cool. See from R. Nichols’ great collection of luggage tags here. See all the great gifts and stationary of R. Nichols here. This Sunday is an unofficial holiday I look forward to every year. Sure it is Super Bowl Sunday, but I am referring to Craft Bowl Sunday. For many years back in the day, my friend Lynda and I (along with various hangers-oners) would gather to watch the big game and make crafts. We did decoupage, we painted, we made our own Valentine’s card, and even used glitter. In general we had a great time and the Craft Bowl was always better than the game. In honor of this tradition, today’s Weekly Read is all about crafting and making it a daily exercise: Craft-a-Day – 365 Simple Handmade Projects by Sarah Goldschadt. One of the reasons I like this book is that it celebrates the idea that we are all capable of making something special whenever we want. I also love that it is full of fun ideas for crafts that you may otherwise never really thought about. The book features easy to follow directions and some great photographs. 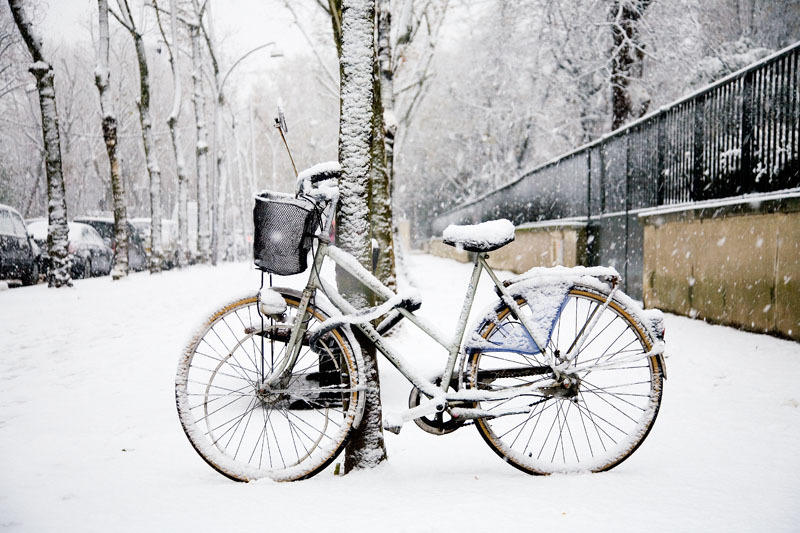 Now, let’s make something special today! 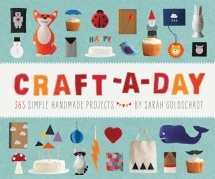 Craft-a-Day – 365 Simple Handmade Projects by Sarah Goldschadt is available from Amazon and other fine booksellers. Some of my favorite finds are things that bring together two or more of my interests. For example, today’s find, the Pewter Hipflask from Tweed Run, is an awesome flask for my bourbon of choice decorated with a bicycle motif. I can picture tossing this thing into my bike’s saddle bag and having a little treat after a long ride. By the way, the Tweed Run is group of people that organize bicycle rides in cities like London where ever rider dressed in classic Harris Tweed. Very cool. Check out the Tweed Run here. I just love today’s find, the Mayfair Steamer Secretary Trunk in Vintage Cigar Leather from Restoration Hardware. Although this Trunk is a reproduction, it brings together all the great things I love about vintage design with modern updates. I would use the trunk as the set piece for my everyday office and maybe close it up on special occasion when I need extra room. I just love it. The $3,300 price point on this Trunk may be a little high. 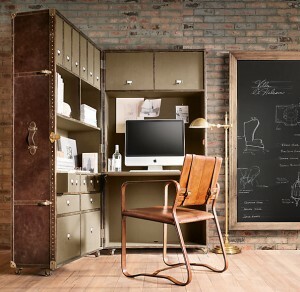 But one can compromise with a much more modest office armoire like this one from Biz Chai.com. 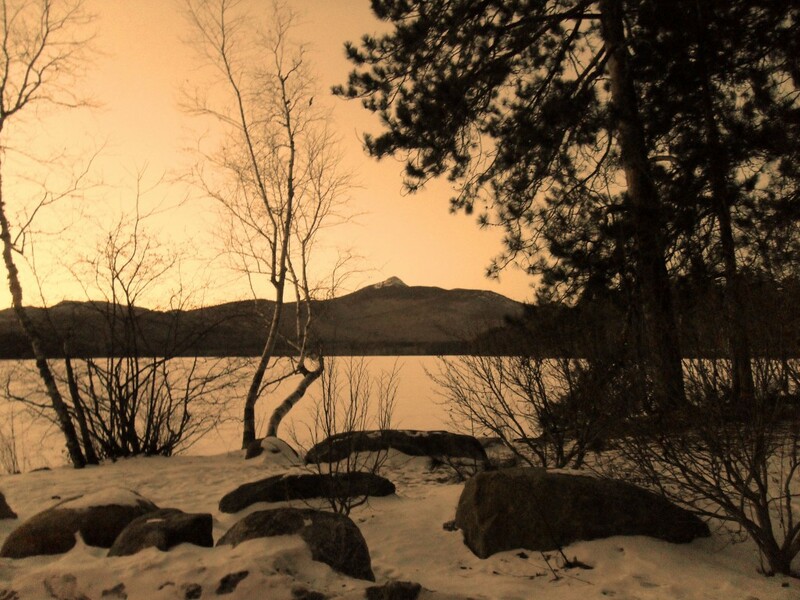 The last light of the day casts an interesting hue across the frozen scape of Mount and Lake Chocorua from Tamworth, NH. I always thought I would turn into a Thurston Howell III type of man in my old age. You know, speaking with an affected accent wearing a yachting blazer by day and sipping my scotch in the evening while wearing a velvet smoking jacket. On my feet I would be wearing something very much like the velvet lounge slippers of JP Crickets. 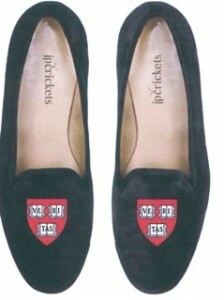 Specifically JP Crickets’ University line, and in the case of Mr. Howell, the Harvard slippers. There is nothing better than a pair of Italian shoes and the slippers of JP Crickets are certainly top quality. But alas, I do not have the trust fund of the Howells to fall back on so the $300 price tag – and the fact that I did not go to an Ivy League University put these slippers on the fantasy wish list. I’ll settle for a much more humble pair of slippers, like the Virginia Tech Hokies Slippers on sale now for $12.50 from Khols. See all the fine footwear of JP Crickets here. See the entire University collection of JP Crickets here. It may be the middle of winter, but that doesn’t stop me from thinking about one of the great treats of my summer vacation: taking an outdoor shower. There are few greater joys in life than taking a shower outside in the warmth of a summer’s day. I have always wanted my own outdoor shower, but I have not managed to make that happen yet. So I will settle for the outdoor shower at our annual summer rental (in the wonderful Cape Cod community of Wellfleet, MA) and dreaming about having my own, like the ones available from OboRain. 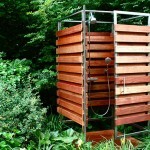 See the various awesome outdoor shower models of OboRain here. One of the great things about old cookbooks is that they tend to contain much more than recipes; they are snapshots of history and our culture. I love paging through vintage cookbooks to see trends and things that have changed over the years – and to see what hasn’t changed. One of my favorite cookbooks is a reproduction of a 1905 book called The New England Cook Book The Latest and the Best Methods for Economy and Luxury at Home. I love this book so much I keep a copy in the reading rack of restroom off of the kitchen to entertain my guests. The New England Cook Book is a real treat. The book features just about every food and every method possible. Although many of the dishes are old school and require way more prep than the modern cook requires (as in we really don’t need to know how to skin a rabbit) there are many tips and recipes that can be used today. More than anything, The New England Cook Book is an entertaining walk into the kitchens of the past. 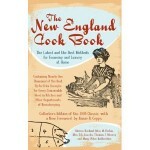 The New England Cook Book The Latest and the Best Methods for Economy and Luxury at Home is available from Amazon and other fine booksellers. The world of peanut butter and other related products is full of options (Nutella anyone?). However, it is relatively hard to find a product that relies on the natural goodness of the ingredients without unnecessary additions. 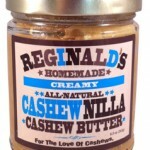 Thankfully, I found the good folks at Reginald’s Homemade, who make a wonderful line of peanut and other butters, like their Cashew Nilla Cashew Butter. That’s right, just four ingredients which results in a product with no sodium, no cholesterol, and no trans fats. It also results in a great taste. See all the great products of Reginald’s Homemade here. Lost Cowboy is powered by	WordPress 5.0.4 and delivered to you in 0.978 seconds using 58 queries.